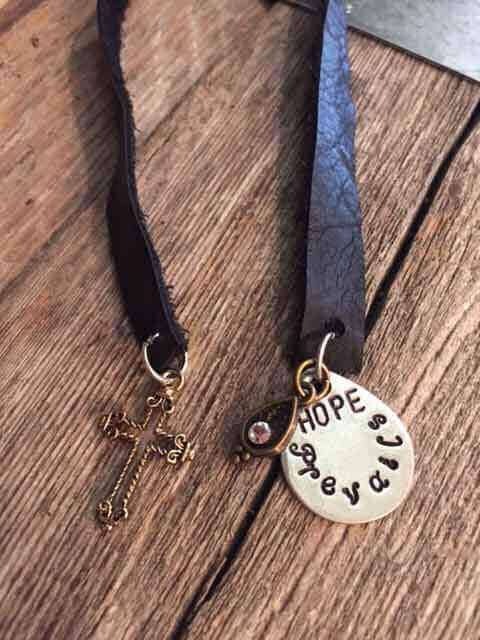 Black Leather Bookmark with Teardrop Stamped Hope Prevails Charm in silver and optional charm. 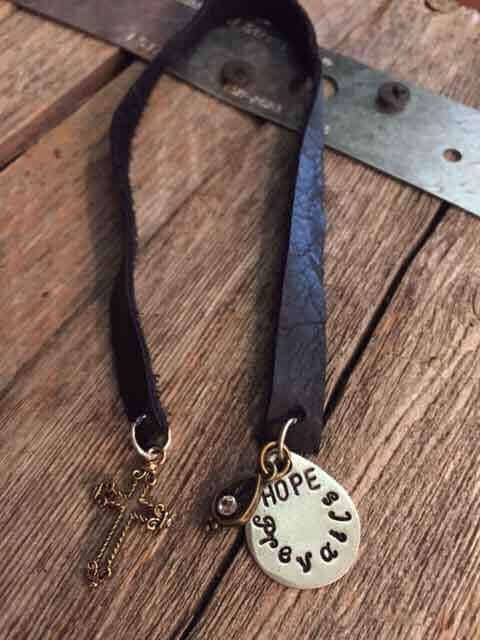 Make the declaration that Hope Prevails with this lovely black leather bookmark with hand stamped Hope Prevails charm. 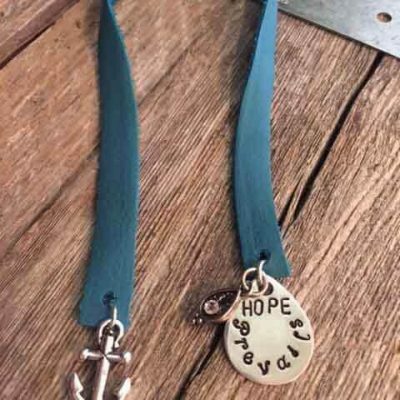 This leather bookmark is handcrafted of soft, durable, deertan leather and embellished with a teardrop hand stamped Hope Prevails charm, teardrop charm and an optional charm. 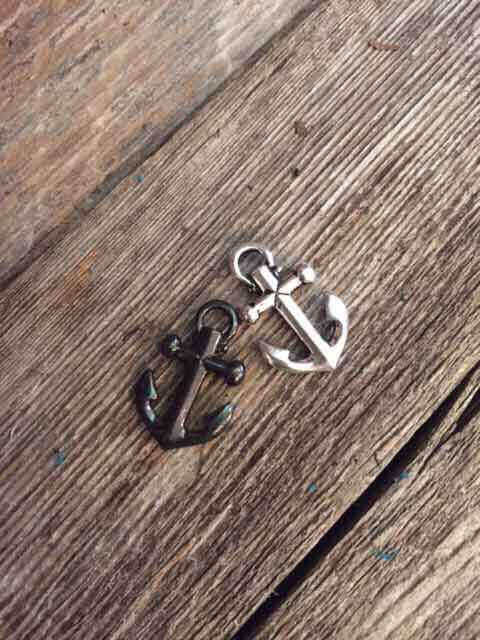 The leather is cut to 11″, so the overall length is approximately 12-1/4″. 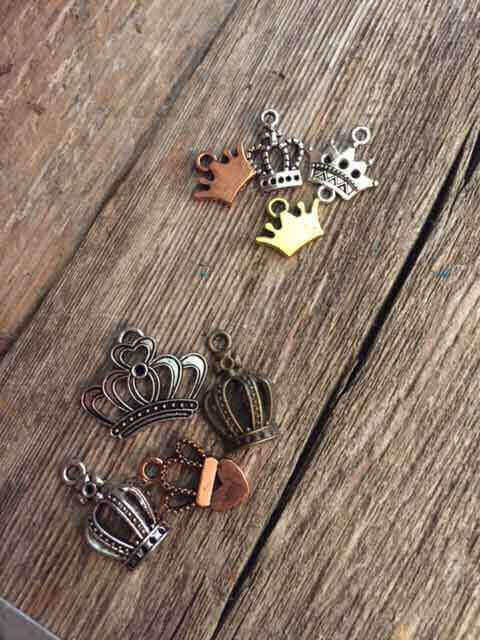 Choose from 1 of 4 styles for the optional charm to make the selection complete. 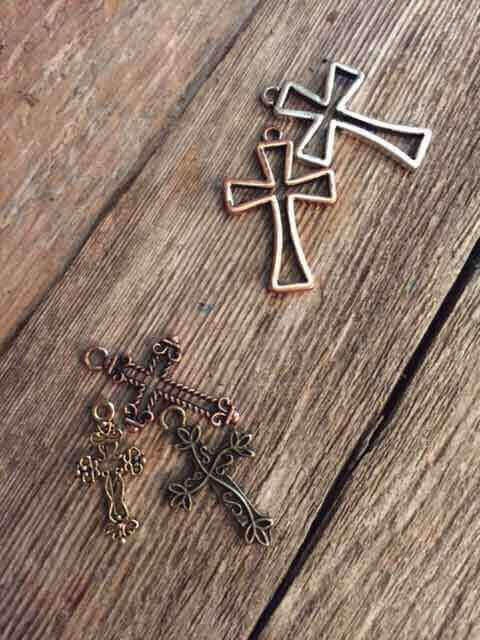 Purchase today for yourself or as a gift of hope for someone you love! 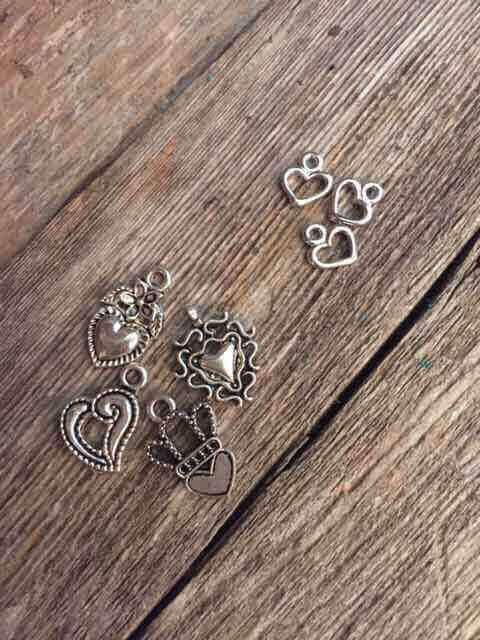 Each bookmark is shipped in an organza keepsake bag.